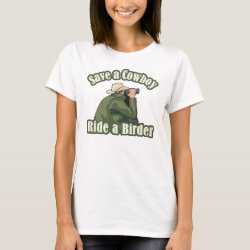 You've heard of Save a Horse, Ride a Cowboy... but what about saving the Cowboy? 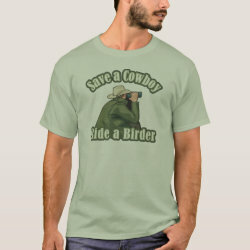 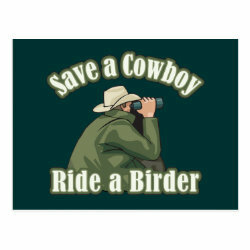 This funny design reads "Save a Cowboy Ride a Birder" More... and features an illustrated birder (who happens to be wearing a cowboy hat - either way this guy's hoping to get lucky!). 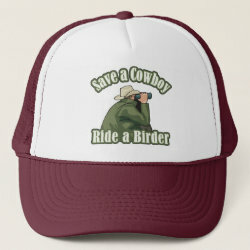 This is a fun and funny original design for birders.